Taking a relaxing night time bath after a long day at work or time spent in cold weather is one of our very favourite things to do. It’s even better, though, when you’ve got all your favourite bath products there to really make sure you pamper yourself! Sure, you could buy things like bath bombs and skin scrubs at the store, but they’re not always all natural in their ingredients. Homemade and DIY bath time recipes, however, usually are! That makes them perfect for people with skin or scent sensitivities. If we’re being honest, we actually enjoy making our own products even we don’t have any bath product allergies. It’s just fun! Check out these 15 awesome bath time recipes that will keep you busy and amused before your bath, relaxed during it, and feeling fresh after! 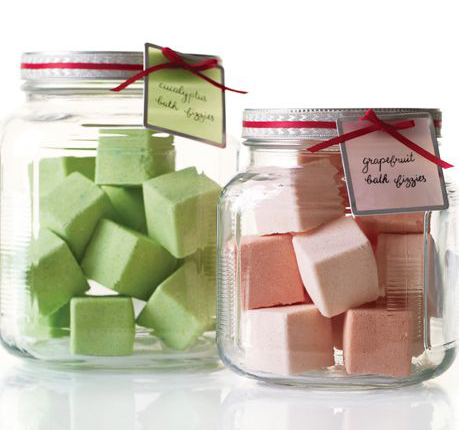 Martha Stewart guides you through the process of making your own bath fizzies! While it’s true that the best part of these is, in fact, the part where they fizz in the water, that’s not actually the only thing they’ll do for your bath experience. These ones also make the water, the room, and you smell like great fresh scents like grapefruit. They’ll even leave your skin feeling smooth after! 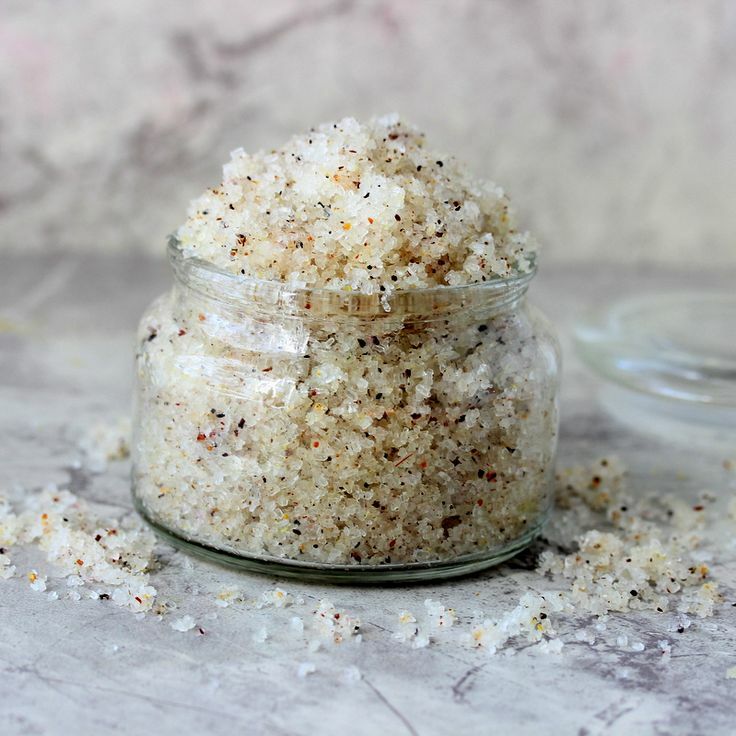 You’ve probably heard before that you should exfoliate your face lightly to keep the skin clean, smooth, and even, but did you know that exfoliating the rest of your body is a great idea too? 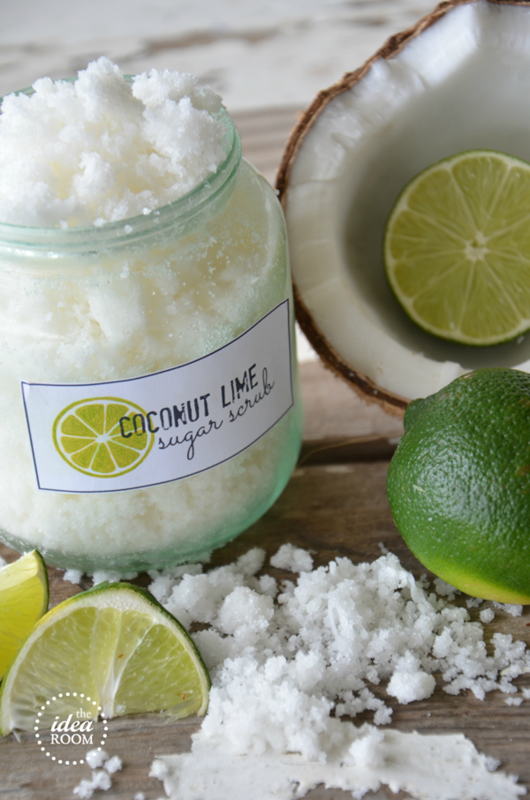 Natural sugar scrubs, like this delicious smelling coconut lime one from The Idea Room, will slough off damaged skin cells and keep your whole body looking its best. 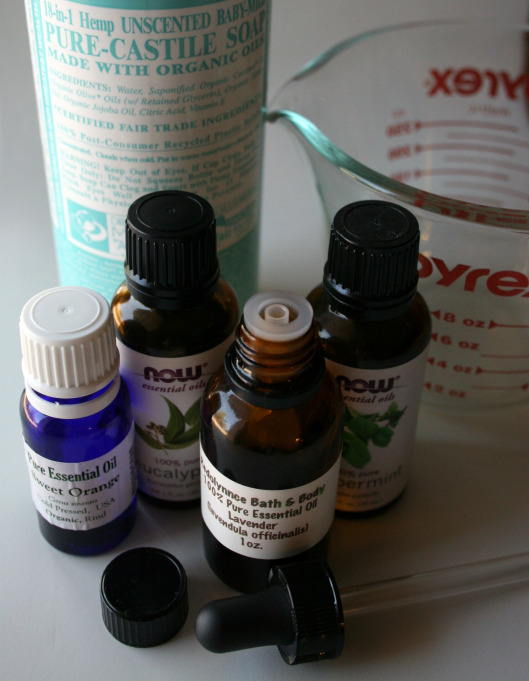 Did you know that you can even make your own soap? This is an especially good idea if you’ve been finding that your skin has been sensitive to store bought soaps or that their perfumed smell has been bothering you. We particularly love this homemade lemon scented bar from The Idea Room. Are you looking for something that will help you relax to your fullest and completely hydrate your skin? Then milk bath is definitely what you need! This recipe from The Happier Homemaker hows you how to make your own mixture using actual powdered goat’s milk. Sometimes, instead of a full bath, all you really need is to soak your soles and toes after being on your feet all day long. If you’re going to take the time to rest them in warm water, you might as well take steps to treat your skin a little bit too! 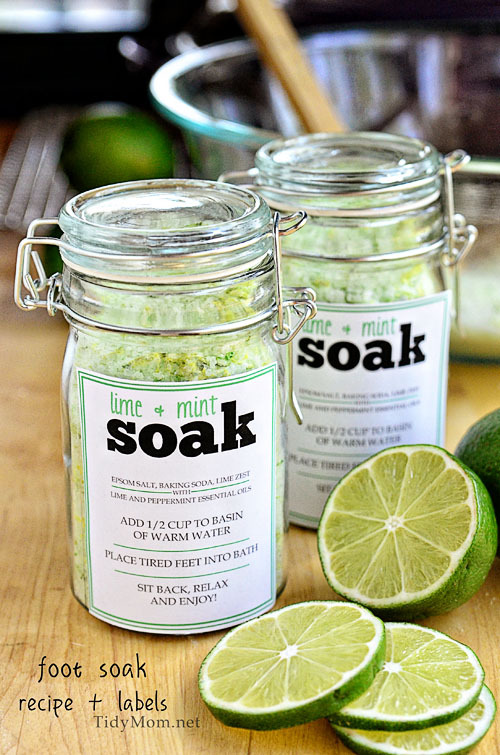 This delicious smelling lime and mint foot soak will soften your heels and keep your toes happy. Get the recipe from Tidy Mom. 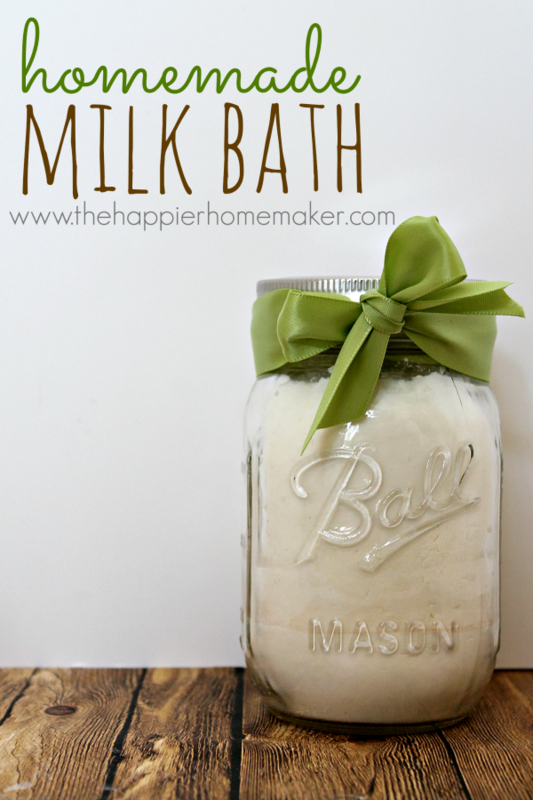 Do you prefer bath salts to milk bath for a fresh smelling tub and a nice, smooth feeling to your skin afterwards? Then we definitely suggest this recipe from The Idea Room! Nothing clears our mind, skin, and sinuses like the citrus scent of fresh lemon. 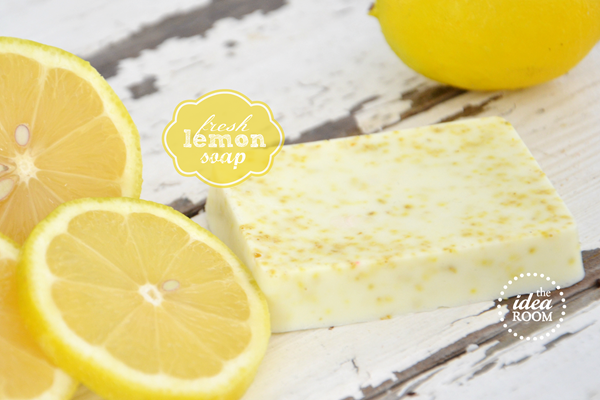 Do you love the scent of lemons so much that you want all of your other relaxing bath products to match the salts you sprinkled in the water? 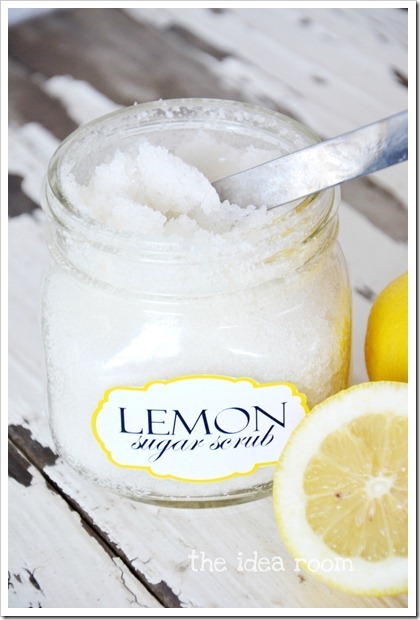 Well, here’s a yummy alternative to the coconut lime sugar scrub idea for you! The Idea Room shows you how to make it with a refreshing citrus smell instead. Maybe your bath is over, but there’s still time to pamper yourself afterwards! Our favourite thing to do as soon as we’ve dried off is to slather on lots of hydrating lotion or body butter in order to keep our skin healthy, extra smooth, and resistant to fine lines. Why not make yourself smell great while you’re at it? 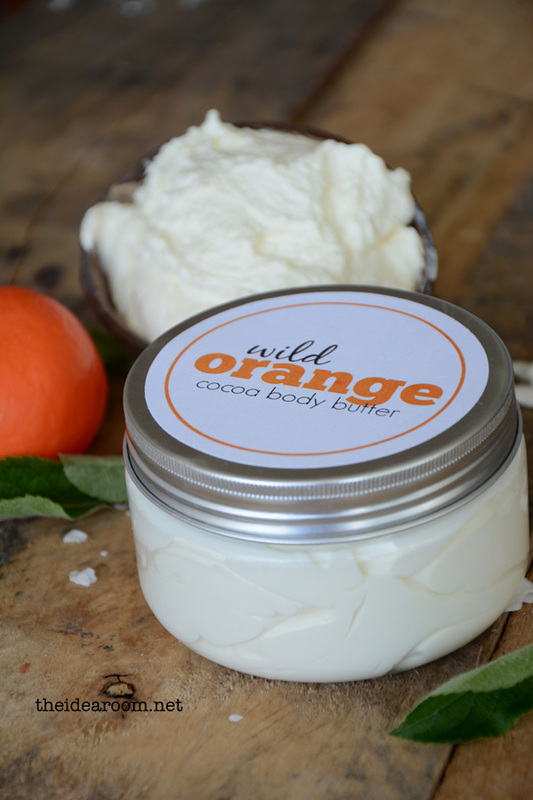 This amazingly orange scented body butter by The Idea Room is the perfect DIY product for that. Maybe you’re less worried about your skin and more into the idea of relaxing enough to feel calm before you sleep for the night? There are great DIY bath products that will help you with that too. We’re particularly fond of this lavender bubble bath recipe from Hello Glow because the scent of lavender is proven to have a relaxing effect on people that actually increases your sense of calm and therefore your happiness! Do you like the idea of having a bubbly bath instead of a regular one, but a plain lavender aroma isn’t quite what you’re looking for? Maybe something with more of a beneficial effect on your skin would be preferable! This bubbling bath soak by Savvy Naturalista includes epsom salts and tea in order to smooth and firm your skin while also giving you bubbles to enjoy. 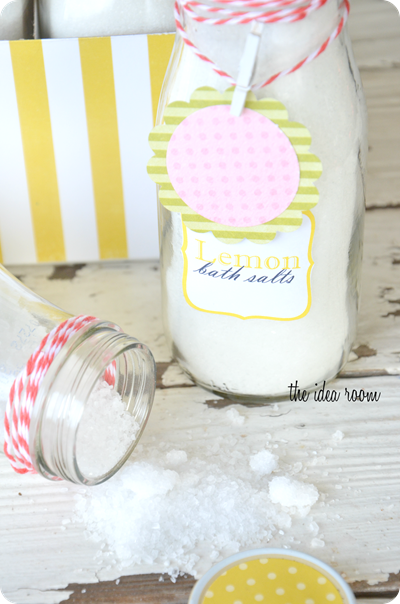 You can never have too many bath soak scents and recipes, right? We keep quite a few stocked so we can enjoy a different bath experience each time! When it comes to great smells, one of our very favourite soaks is this cocoa recipe by Style Me Pretty! Just like you can never have too many soaks, you can never have too many bath salt options either. Every once in a while we love using a novelty kind that reminds us of our favourite drink- a fresh mojito! 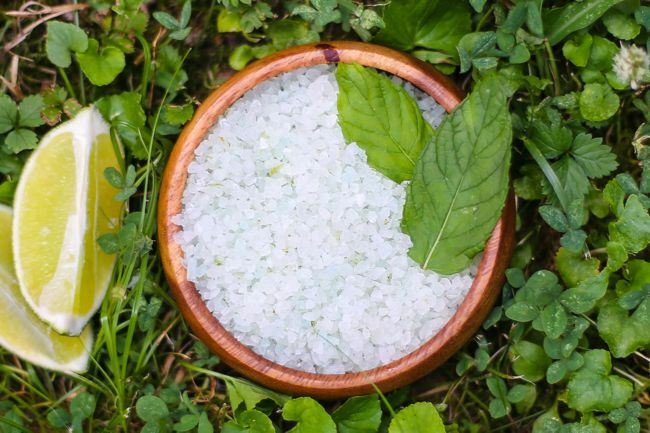 Check out this minty, citrus-y bath salt idea from Hello Natural. 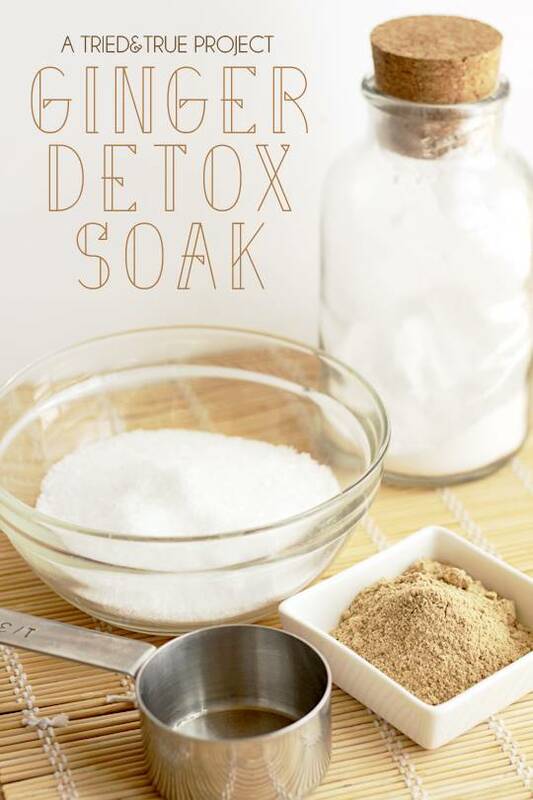 Some bath soaks are just for fun and some make you smell good, but there are also soak recipes out there that have real health benefits. This ginger soak concoction, for example, draws out the minuscule toxins that your skin absorbs all day, acting as a cleansing detox treatment. Check it out on Tried and True! Do you love nothing more than sitting with a firming, relaxing face mask on while you’re soaking in the hot tub? That’s our favourite way to enjoy a bath too! 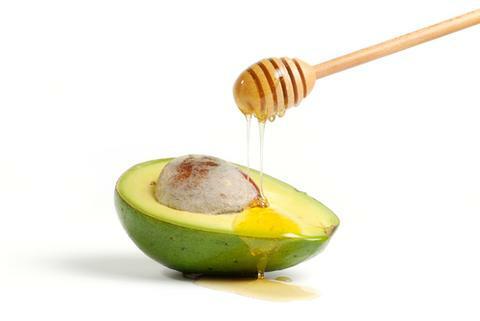 We find our skin feeling particularly smooth and healthy after using an avocado mask, like this sweet avocado and honey recipe from Bathorium. 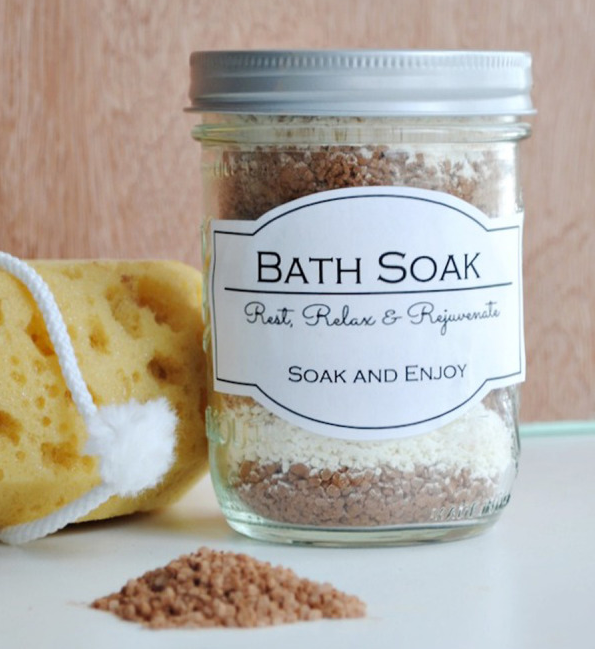 soaks, salts, and masks aren’t the only things you can make at home to make bath time the best! 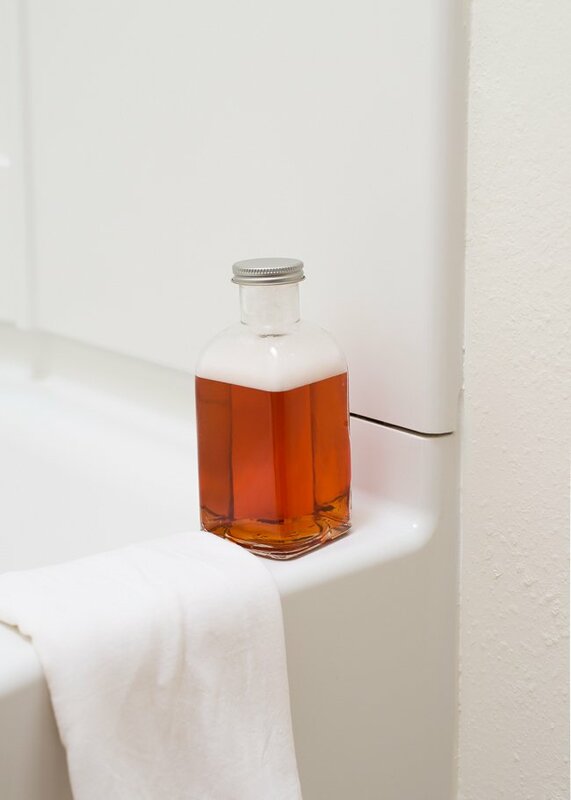 When we’re feeling particularly creative, we make ourselves DIY body wash too. Rather than smelling cheaply fruity like store bought soaps, this recipe from Plume Perfume uses the fresh scents of peppermint and eucalyptus to make you feel energized on top of being squeaky clean! Do you know a fellow DIY enthusiast who loves taking a long hot bath almost as much as they love making things? Share this post with them so they feel inspired to blend their passions!